Moneys To Anchor You To An Area. area. Cities and counties create tax incentives to revitalize certain area… And they will give you tens of thousands of dollars if you move there. Here’s here is how! Tax Allocation Districts (TADs) - are one of the instruments in the legislative tools box available to support the cities’ community and economic development ventures. When using a TAD, a city (or county) designates a specific geographic area that has the potential for redevelopment, but – at the time - suffers from “economically or socially distressed” conditions. will take place in the area, in turn, the taxable value of property in the TAD increases. Private development is one of the key ingredients for the success of a TAD. I have visited many of these developments and some are amongst the finest I have seen anywhere. The developers also may receive some tax benefit that will allow them to operate with a margin safety specially that the homes will reach the buyers pocket at a lower rate to comparable properties. Please see my page “Home Comps” for more on this subject. The city will collect tax in the increased value, receiving additional revenues as a result of new development. A special fund is set aside to pay off the bonds that financed the public improvements of the area. Typically in 25 to 30 years the TAD will be dissolved: After the bonds have been retired and any other public financing has been repaid. Bottom line developers come in and improve the area. The benefit when you receive one of the home buying TAD grants to move in to that area is quite significant – it is as if you had $10,000s of dollars of extra money. It can lower you’re your monthly payments or help you to be able to secure a better or larger place. Please make sure to take a look on my page “Grants Examples” for a very good bird’s view of the process. The benefit for the city, as you move in, you starting paying your property tax at the new improved value of the home. Sometimes the area also gets the additional benefit of attracting a diverse mix of professionals like teachers, fire fighter, health professionals and the city’s own police force. At the same time these programs also help the economy by allowing more homes to be sold because more potential buyers are in the market then more jobs and business are generate: construction jobs, new material sold, lawyers and, hey! - even us, the real estate agents! The area is revitalized and everybody benefits. You have been around this site for a while, you may have noticed that I kind of pride myself in have been in the thick of what I am trying to tell. It is because I am both proud and also in the very thick of it. As real estate agent I have worked with clients of a vary walks of life – from the first time homebuyers to investors to folks fortunate enough to be able to buy a $1,5 million home. I am proud and honor to work with all those people in some of the most exciting times in their lives. However there is a special feeling in helping first time home buying folks to achieve their dreams. It has been my mission even before I became a professional real estate person. I once sold a town home that I owned for less than what it could have brought me so the young first time homebuyer young couple that purchased it, could “fit it in” their pre-approved loan amount. Please make sure to take a look on my page “Grants Examples” for a very good bird’s view of some real world experience of how I got a buyer I worked with to tapped one the many TAD home grants around. The best of it is that it was one of those “non-repayable” TAD grants – it starts to phase out in 5 years and if she keeps living in her condo, all that equity will be completely hers in 10 years. Combined with another “repayable grant” she was able to a place to call her own that otherwise would have been out of reach. And I am humbly proud I have assisted in her successful home buying! As all home buying grants, TAD home grants are also aimed to people with low or mid income. It can also be geared to attract certain professionals like police officer, health care professionals and teachers among others. Call your city or county’s Housing Department or sometimes called “community relations department” or any thing that sounds like that. Call them all and call early – this funds and/or the window of opportunity do not last yearlong. Remember that to be eligible for TAD home grants, you will need to buy a home within the boundaries of that designated area. There is a misconception by the general public that because you are using a TAD home grant is that you will an inferior home or you may stuck in a rough neighborhood. Please understand that these are fine homes nothing to have concerns about. I have been to many of these areas and have sold in some of them. Some of the buyers I have worked with were skeptical at first about what kind of place and/or the area where such properties would be located. However they ended up won over because of the quality of homes they would be able to live in. Also keep in mind that many grants do not limit areas were the funds will be used: Translation – you are not limited to buy in one specific area. TAD Home Grants are for people who made other considerations and are comfortable living in one specific area of the city for which that particular fund was created. Besides for any TAD home grants you might find in your area, There are also home buying grants that you could check out on the federal level as well. 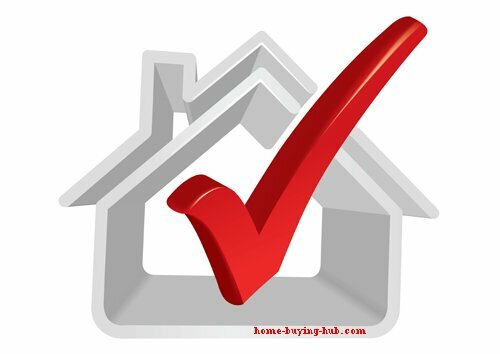 All 50 states have agencies that you can contact to get information on federal home buying grants. Georgia residents – and people planning to move to GA – please also see my “Georgia Grants” page.